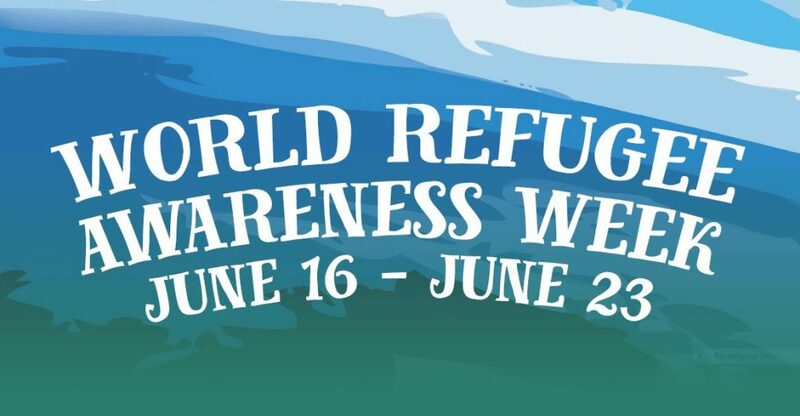 This year we will celebrate World Refugee Awareness Week from June 16 – 23. Join us in supporting refugees in Lansing, home to one of the most diverse areas in Michigan. We invite you to attend the educational and celebratory events hosted throughout the week to learn more and show your support. Hosted by St. Vincent Catholic Charities to kickoff World Refugee Awareness Week. If interested in participating, please contact Veronika Parsamova at parsamv@stvcc.org. Faith based organizations in the greater Lansing area speak to the importance of welcoming refugees in our community. We encourage you to advocate for refugees at your place of worship on this day in honor of World Refugee Awareness Week. First Presbyterian Church, 510 W. Ottawa St.
Join GIL as they honor refugee students receiving their High School Diplomas! Join CADL to find out more about all the materials and programs the library has to offer. Light refreshments provided. All ages welcome. East Lansing Public Library, 950 Abbott Rd. All are welcome! Free parking and refreshments. Hosted by the Greater Lansing United Nations Association and the East Lansing Public Library. For further information, visit http://www.gluna.org/java-cafe. Allen Market Place Classroom, 1611 E. Kalamazoo St.
Allen Neighborhood Center and the Immigrant and Refugee Resource Collaborative (IRRC) are hosting an opportunity for neighbors to participate in a facilitated conversation with members of the IRRC Advisory Council. Conversations are typically about our commonalities and culture, are are a great way to connect to New Americans and share our stories. To register, email denisep@allenneighborhoodcenter.org. Space is limited. Hosted by the Allen Neighborhood Center and the IRRC. St. Mike Community Garden, 6500 Amwood Dr. Hosted by Greater Lansing Food Bank, Garden Project. Ingham County Health Department, 5303 S. Cedar St. Refugee Development Center (RDC), 600 Maple St.
Join the RDC as they unveil a Peace Pole to represent a spirit of unity for immigrants, refugees and U.S.-born community members. Islamic Center of East Lansing, 920 S. Harrison Rd. Celebrate the end of the Holy month of Ramadan. Join us for family, food and activities. All are welcome to attend!